Description: MODEL 60 BARREL LENGTH: 2.125" / 5.4cm - CALIBER: .357 MAGNUM / .38 S&W SPECIAL+P - CAPACITY: 5 ROUNDS - ACTION: SINGLE/DOUBLE ACTION - FRAME SIZE: SMALL - EXPOSED HAMMER - FRONT SIGHT: BLACK BLADE - REAR SIGHT: FIXED - GRIP: HOGUE WALNUT AND ORIGINAL S&W SYNTHETIC - FINISH: SATIN STAINLESS - MATERIAL: STAINLESS STEEL FRAME, STAINLESS STEEL CYLINDER - OVERALL LENGTH: 6.56" / 16.7cm - WEIGHT EMPTY: 22.6oz. 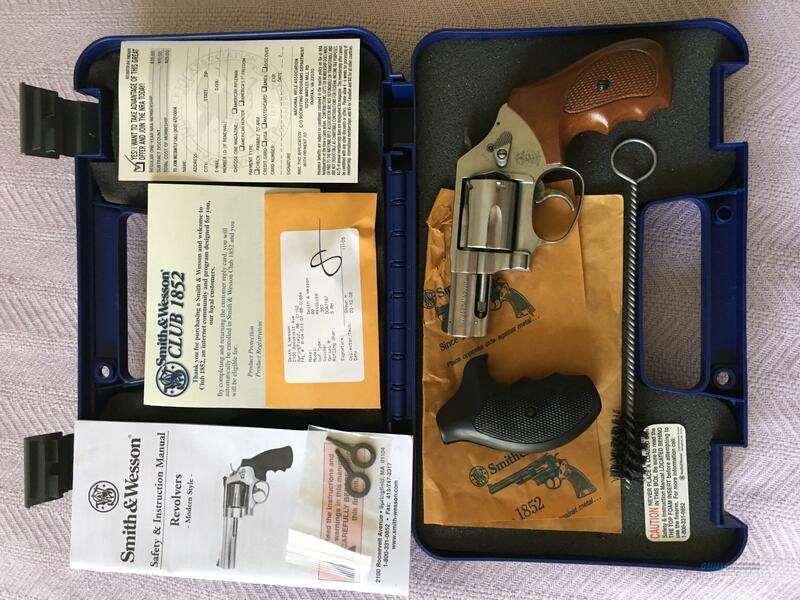 / 640.7 g. TAKING BEST OFFER The Smith & Wesson Model 60, the world's first stainless steel revolver, was a success from its introduction in 1965. Praised by both law enforcement and sportsmen, the Model 60 was a stainless steel version of the Chiefs Special®; and began the era of stainless steel handgun production. The Model 60 is the perfect choice for those seeking a small frame, all-steel revolver with greater recoil control and proven performance.